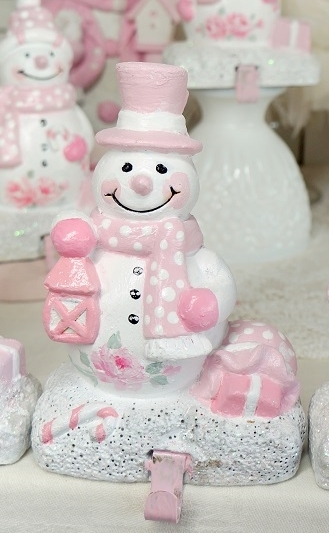 This listing is for one pink snowman with top hat. 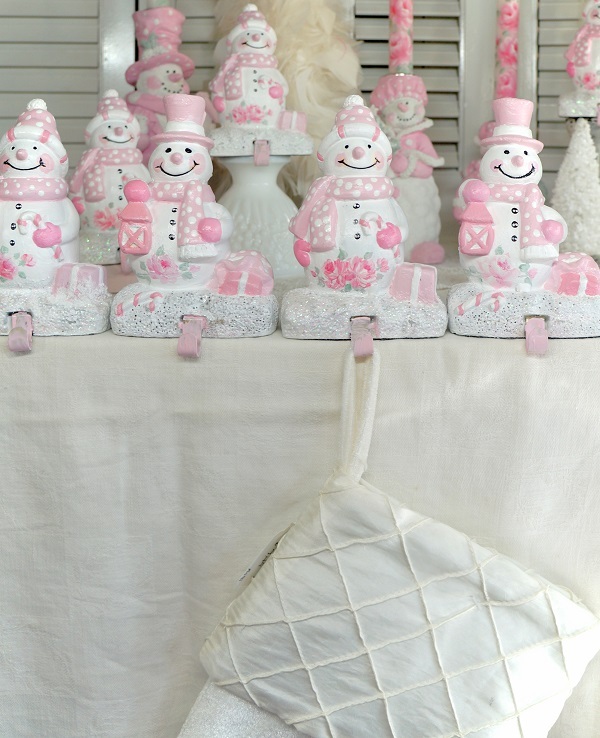 Great for your shabby chic or rose cottage Christmas stockings. Can be use on a shelf or window for your favorite ornament too..